You’ve left your cell phone charger at a hotel, right? At least once. Plenty of frequent travelers leave their chargers behind all… the… time. 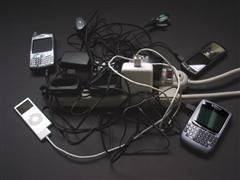 If you’ve forgotten various phone and mobile device chargers in the past, you are entitled to partake in the wheel of karma known as the lost and found box at your nearest hotel. You can defer your participation to a later date or use it right away. Up to you. Basically, if you need a charger for your cell phone, swing by your nearest hotel and tell the person behind the desk that you forgot your charger there. They’ll likely present you with a gigantic box full of abandoned chargers. Find the one that matches your phone, grab it, smile politely, say thank you, and leave. If you’ve left five chargers behind, feel free to use this trick five times. If you’ve never left a charger behind, then please don’t take from the karmic phone charger box. Don’t worry, though. You’ll eventually leave yours behind sooner or later.